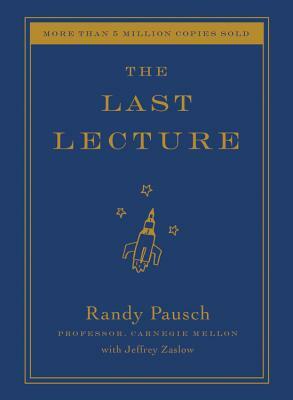 Randy Pausch was a Professor of Computer Science, Human-Computer Interaction, and Design at Carnegie Mellon, where he was the co-founder of Carnegie Mellon's Entertainment Technology Center (ETC). He was a National Science Foundation Presidential Young Investigator and a Lilly Foundation Teaching Fellow. He had sabbaticals at Walt Disney Imagineering and Electronic Arts (EA), and consulted with Google on user interface design. Dr. Pausch received his bachelors in Computer Science from Brown University and his Ph.D. in Computer Science from Carnegie Mellon University. He was the director of the Alice (www.alice.org) software project, and had traveled in zero-gravity. He lived with his wife, Jai, and their three young children in Virginia. Jeffrey Zaslow was an award-winning columnist with the Wall Street Journal and author of several bestsellers including The Girls from Ames, The Magic Room, and Sully (with Chesley "Sully" Sullenberger).